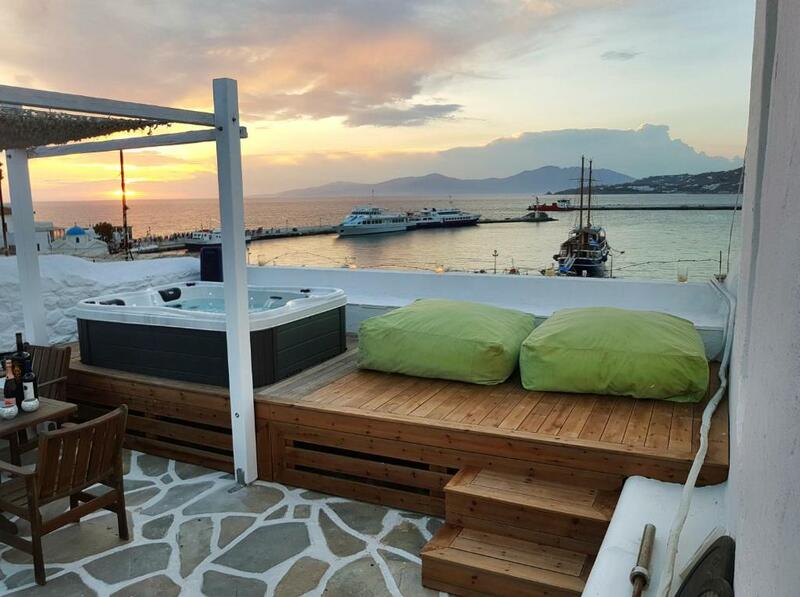 Located right on the waterfront, in Mykonos Town, Mykonos Town Pad offers spacious, Cycladic-style accommodations with a fully equipped kitchen and a large terrace overlooking the Aegean Sea. Mykonos Windmills are just 1,650 feet away. 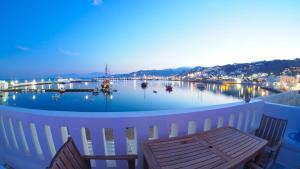 Mykonos Town Pad is air-conditioned and consists of 3 separate bedrooms, 2 bathrooms and a large living room. It is equipped with a 60” plasma TV, PlayStation, Blue-Ray player, washing machine and dishwasher. The refrigerator is stocked with essentials, such as milk, eggs, Greek delicacies, drinks and refreshments. The Archaeological Museum of Mykonos is 1,300 feet away and Mykonos Airport is at 1.2 mi. The sandy beaches of Psarrou and Platys Gialos are less than a 10-minute drive away. Free WiFi throughout is provided and free parking is possible nearby. When would you like to stay at Mykonos Town Pad? 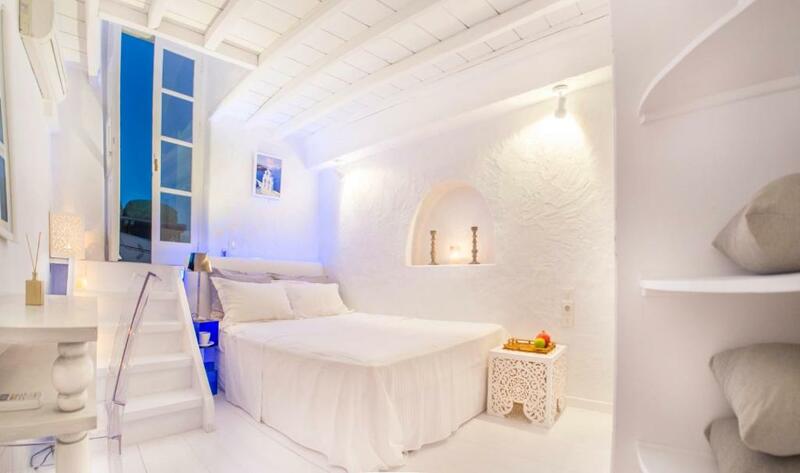 Spacious, Cycladic-style house with a large terrace overlooking the Aegean Sea. It consists of 3 separate bedrooms, 2 bathrooms, a fully equipped kitchen and a living room with a 60" plasma TV. A hotel manager providing hospitality with passion. 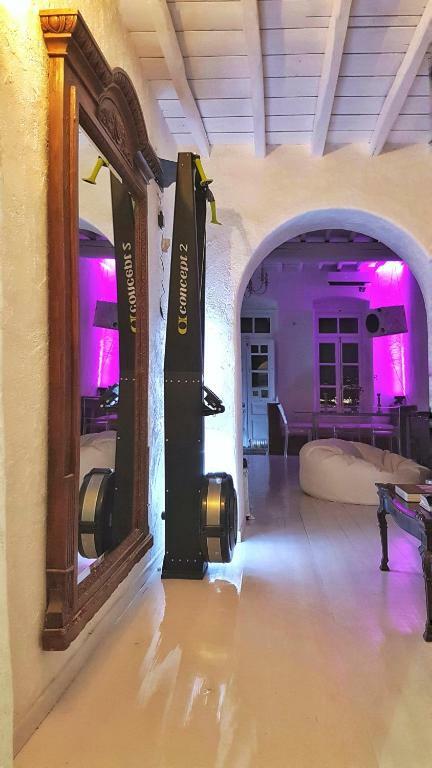 My wide range of hobbies and knowledge of Mykonos is a sure bet that any information and needs you may have for your vacation will be met as well as ideas for things to do! 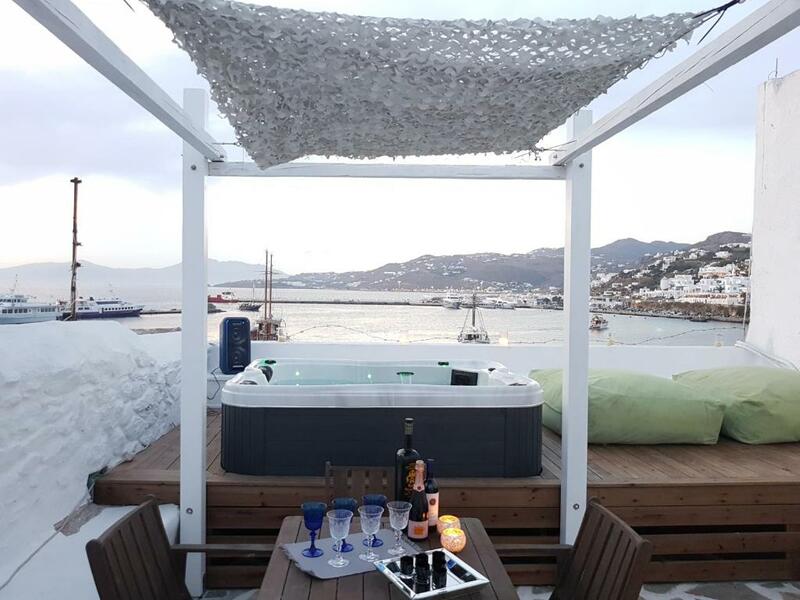 The most important detail of the property location - neighborhood is that on the front you have the mykonos waterfront and on the rear entrance is a calm picturesque traditional little mykonian street. The bars and restaurants will deliver to the house as well as the mini market which is 10 meters from the house door and one floor down. 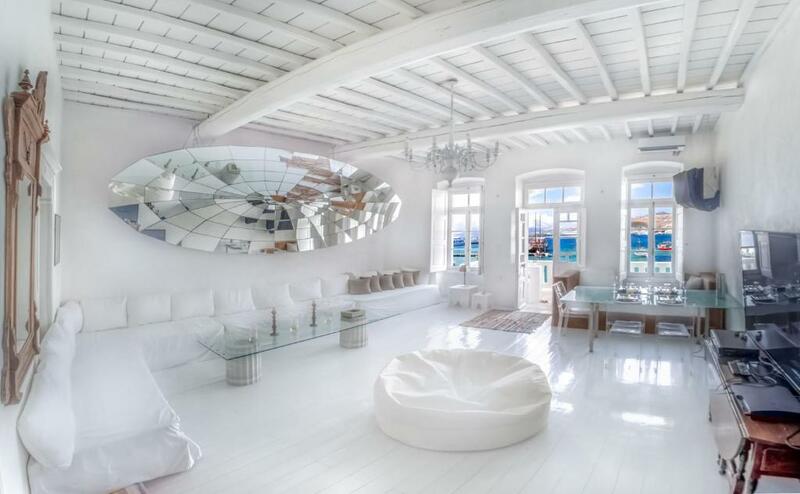 House Rules Mykonos Town Pad takes special requests – add in the next step! 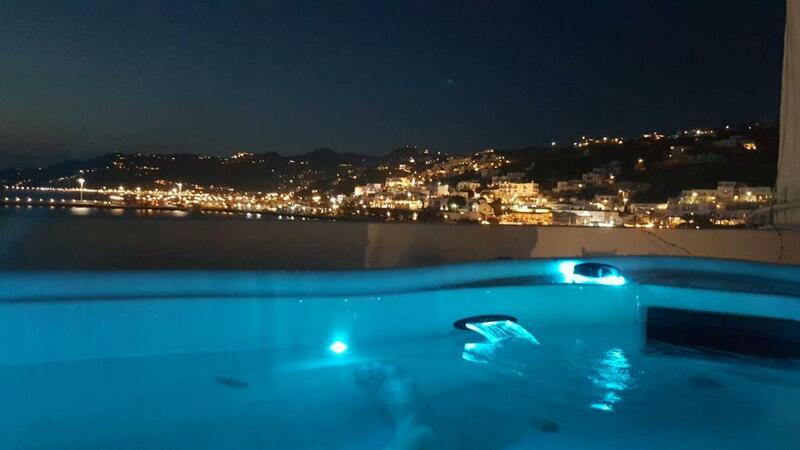 Mykonos Town Pad accepts these cards and reserves the right to temporarily hold an amount prior to arrival. Please inform Mykonos Town Pad of your expected arrival time in advance. You can use the Special Requests box when booking, or contact the property directly using the contact details in your confirmation. We need at least 5 reviews before we can calculate a review score. If you book and review your stay, you can help Mykonos Town Pad meet this goal. The owner of the town pad took very much care of us to make our stay most comfortable.. 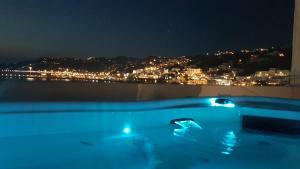 The town pad is indeed an extraordinary house with a very nice view over the old port. The roof terrace is spacious and has a great jacuzzi. All shops, restaurants and clubs are within walking distance. We definitely will return. 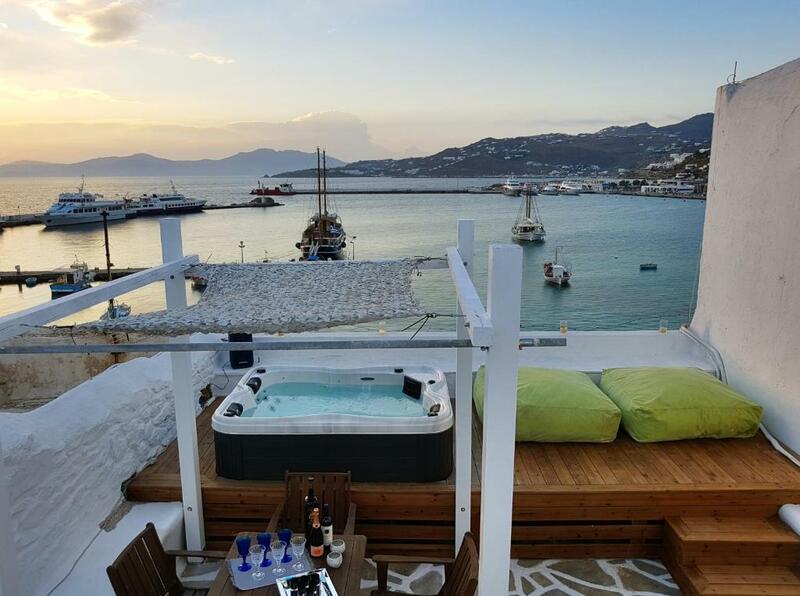 This place is perfectly located on the old port of Mykonos Town. The host is extremely gracious and stocked our fridge, continually checked in with us, and helped us with our luggage to and from our location. We couldn't have asked for a better spot to stay during our trip! !